Get in touch with your inner spiritualist and connect with nature in these shaman-like outfits! You will see that I used more natural earth tones and primitive designs when putting together these outfits. I also did not explore much into mail armor (and, I am sure that there are many more outfits to make from that) to include more of the other classes who can not wear mail/plate to dress as a shaman. As with my Rogue Article, these outfits are just for fun and RP, and may not reflect actual armor a shaman might actually wear. As stated on the “home page” of this section, most of my ideas for these shaman outfits came from what the shaman trainer NPCs wear. As of now, the shaman class is reserved for the Orcs, the Trolls, and the Tauren of the Horde, and the Draenei of the Alliance – these outfits tend to reflect those races more; however, any race is welcome to wear them ^_^ . Later, when Cataclysm strikes Azeroth, Dwarves and Goblins will be able to posses the natural elemental ways of the shaman, and this article will probably be updated to accommodate them (because I’m sure Dwarves and Goblins have their own style in this area, LoL). 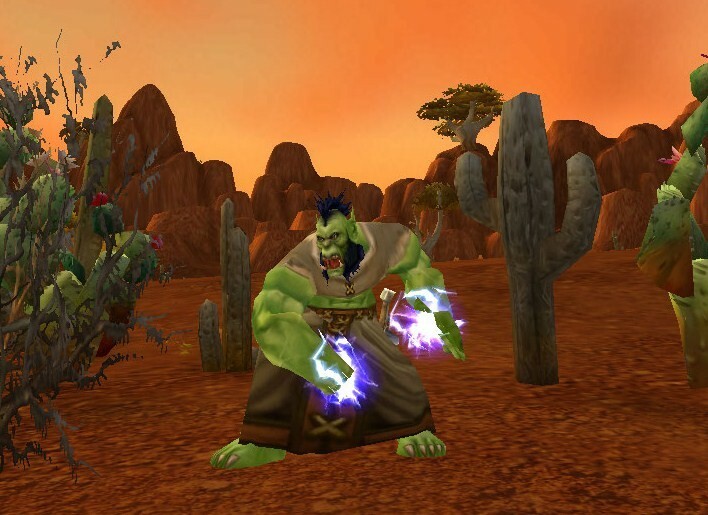 A good basis to start from for shaman, or any other class outfits, is by the different starter sets for each race. Both starting sets share the same name, but they are noticeably different. These sets are also one of the easiest ways to get a more shamanistic kilt. 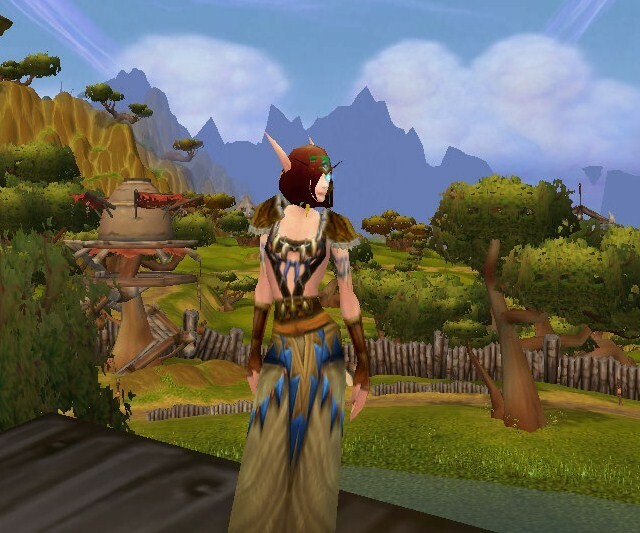 Different types of “tribal” leather or cloth harnesses match perfectly with the spirit of most Horde races, and are perfect for any class; and there are plenty to choose from to be substitutes for the Ceremonial Leather Harness. There are also plenty of different headdress to choose from – all in different color combinations, so, you’re sure to find a match! Adding the correlating Primitive Mantle to this outfit adds more color for the chest piece, and also ties in the color of the kilt. 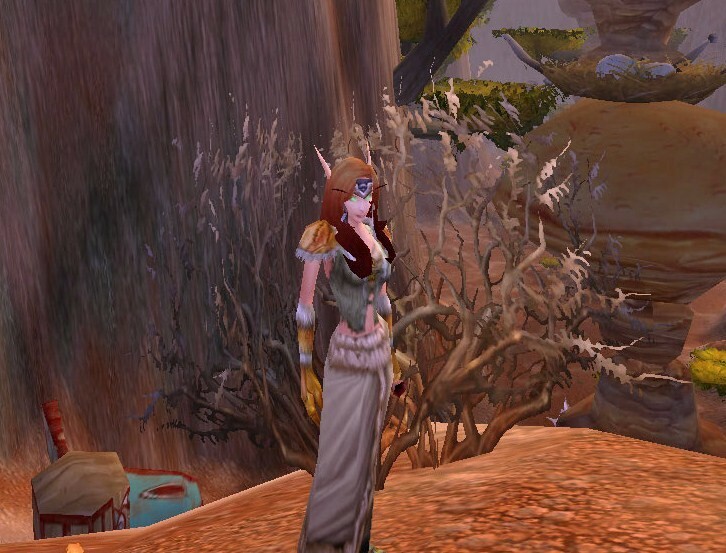 The Novice’s Robe used in this outfit is actually the Tauren druid starter robe. 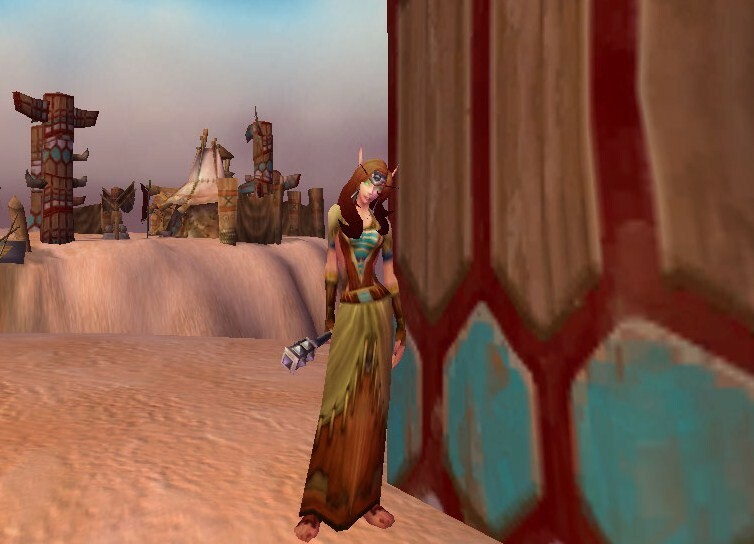 However, this type of robe can also be found on some shaman trainer NPCs, such as Shikrik. In my opinion, having a mace instead of a staff with this outfit can ultimately change the look entirely from druid to shaman. Speaking of the Novice’s Robe, this style of robe comes in many other color combinations, such as the recently added-to-game Pilgrim’s Robe (a little bit more brown-orange), or an identical match, the Native Robe. Wearing the Primitive Mantle underneath the robe is optional; I like the look of its addition because it brings out the blue colors in the robe and the belt. The Spirit Hunter Headdress was a quest reward and one of the other headdress alternatives for any of these outfits. The Wise Man’s Belt is almost a staple for any type of tribal/native outfit; it is sold in limited quantities by a handful of vendors around Azeroth. The yellow-gold color of the Tough Leather Shoulderpads brings out the design on the robe. Wearing the Primitive Mantle, again, connects all the blue tones together in the outfit. The Twilight Robe’s style can be found in other cloth robes such as Gaea’s Raiment, or as just the kilt half, as in T’chali’s Kilt. Because rogues can not “drop totems” as shamans do, I decided to equip one. 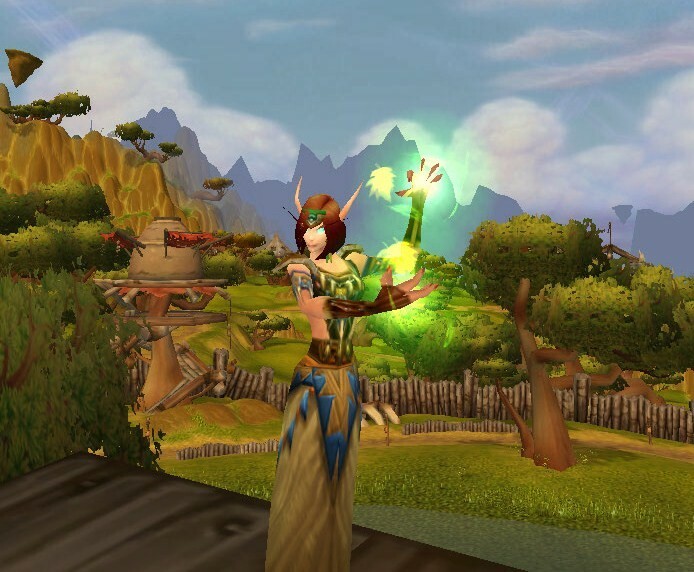 The Furbolg Medicine Totem was the easiest totem-like mace for Kirina to obtain, being exalted with the Timbermaw Hold. Having a higher reputation with the Timbermaw Hold (honored+) allows one to be able to buy from the Timbermaw vendor – Gorn One Eye. Along with selling the Furbolg Medicine Totem, He also sells the Furbolg Medicine Pouch (seen later in this article). 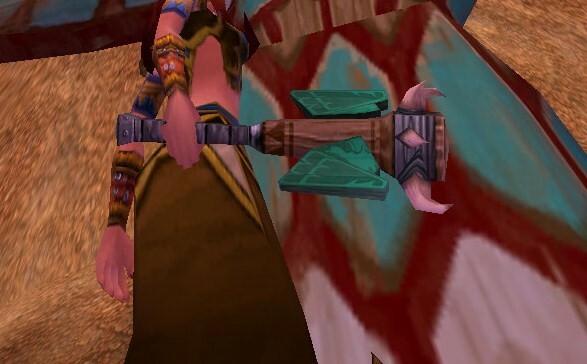 Other totem-maces in this same style are the Preserver’s Cudgel (Cenarion Expedition reputation required) and The Hand of Antu’sul (dungeon drop). 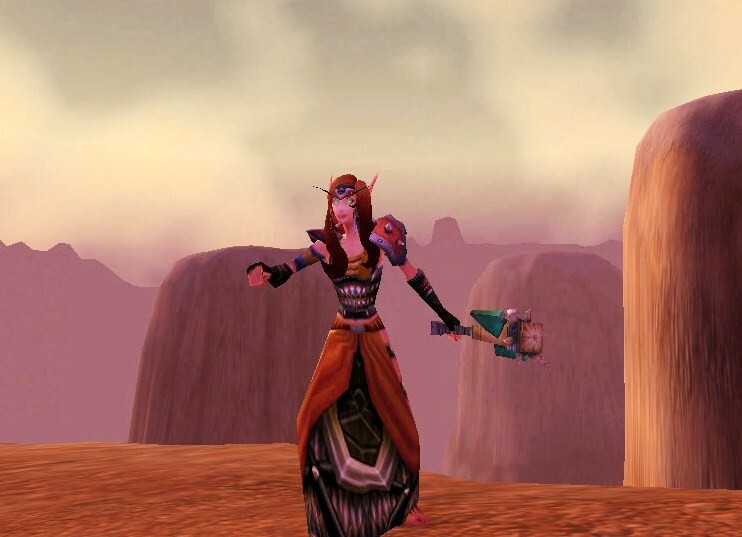 The Earthborn Kilt is a rare world-drop out of Azeroth. It’s a great find, as there aren’t too many plain, light tan kilts to use in outfits. It’s a little bit lighter than the Orc and Druid shaman’s Primitive Kilt, but, pairing it up with darker tan accents never fails. The Stonecloth Robe basically puts the Ancestral Tunic and the Earthborn Kilt together in one robe, adding darker tan/brown accents from their basis. Again, contrasting tan colors will work just fine with this robe, or even by adding matching light tan embellishments that blend all the colors together. The Warchief Kilt is rather hard to come by, as it is a rare zone drop out of Scarlet Monastery. However, it’s a great kilt to keep upon finding/buying, as its style and color are useful in other outfits. The Pridelord Armor has a little hint of tan/orange around the top of the chest, which matches perfectly to the kilt. Most of the time, shamans wear kilts (mail kilts to be exact). 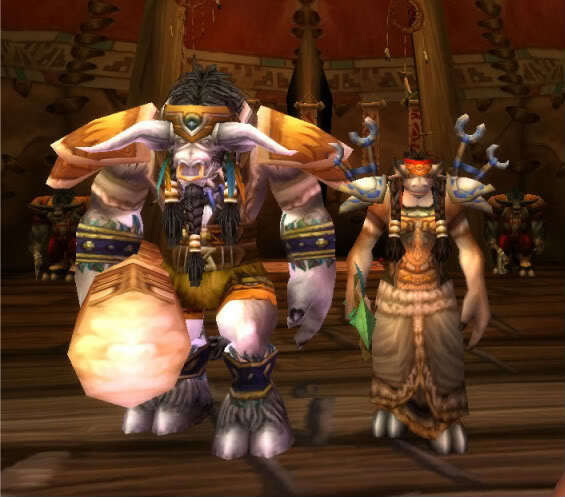 However, there are some shaman sets that are actual pants instead of a kilt, as worn by heroes like Warchief Trall. This is my take on a “pant suit” for shamans. The ragged mail leggings look like they’ve seen many battles. The brown gloves, belt, and boots match the brown accents in the pants and the Feral Harness brings out the red. Of course, I’m sure that there are some mail chest-pieces that will bring out the red as well. All the pieces can be substituted to match ones taste, including the Barbaric Battle Axe – which can be replaced for a two-handed mace – typical of most shamans. Herod’s Shoulder drops out of Scarlet Monestary, and is actually decent shoulder for shamans leveling through that range. It’s fairly easy to get if you can solo that instance. I wish there were two of them! ^_^ But, then I guess it would not be as unique as it is with only one. This is an all cloth/leather equivalent to the outfit above. The Cabalist Spaulders are the same shoulder armor worn by Orgrimmar Grunts, and, I felt they matched pretty good to the style of Herod’s Shoulder. The top red part of the chest-piece matches the boots, and for symmetry, the gloves and the pants use the same colors. The belt can be easily changed. I couldn’t find one I was completely happy with for this outfit, but, I’m sure either the Heraldic Belt or the Praetorian Girdle would work just fine. 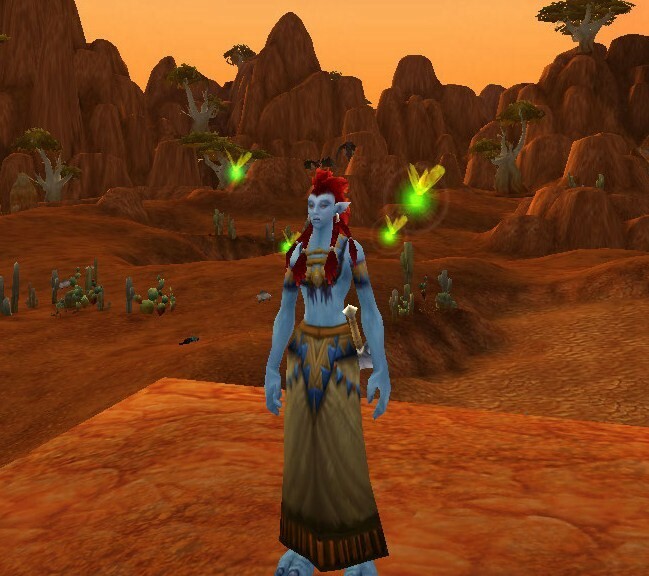 Draenei shamans bring more color than the usual tan into their starting outfit. They also start out with leggings and a shirt instead of a kilt. Again, these are great pieces, especially the Scout’s Shirt, to have on hand to use in other outfits. 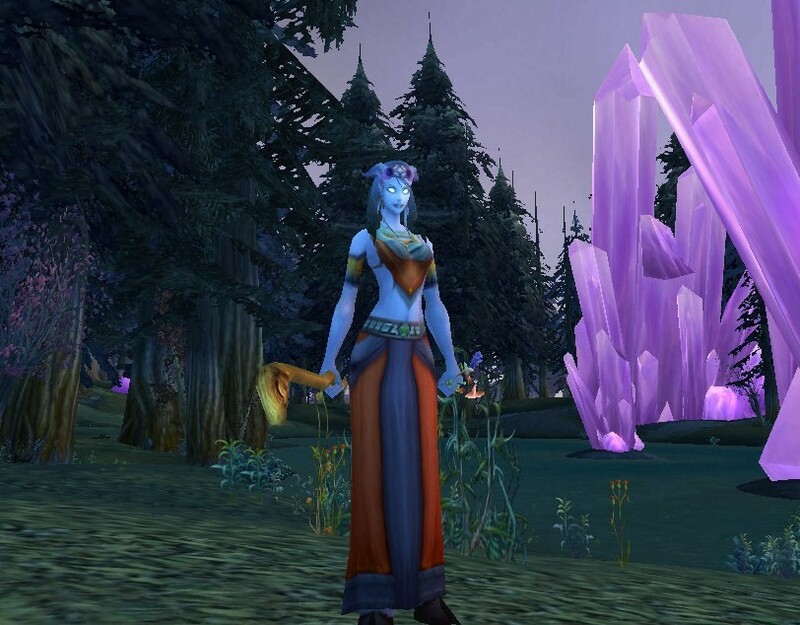 To resemble Draenei shamans, I choose a couple of robes that are still “primitive”, however, incorporate some of those brighter colors to flatter the Draenei spirit. The color of the Mystic’s Robe looks lovely with the different skin tones of Draenei characters. I added the Primitive Mantle to add more color, but, this is completely optional. The Pathfinder Belt is a light purple color in the same style as such other belts as the Rawhide Belt; it matches the lighter shadings in the bottom part of the robe. 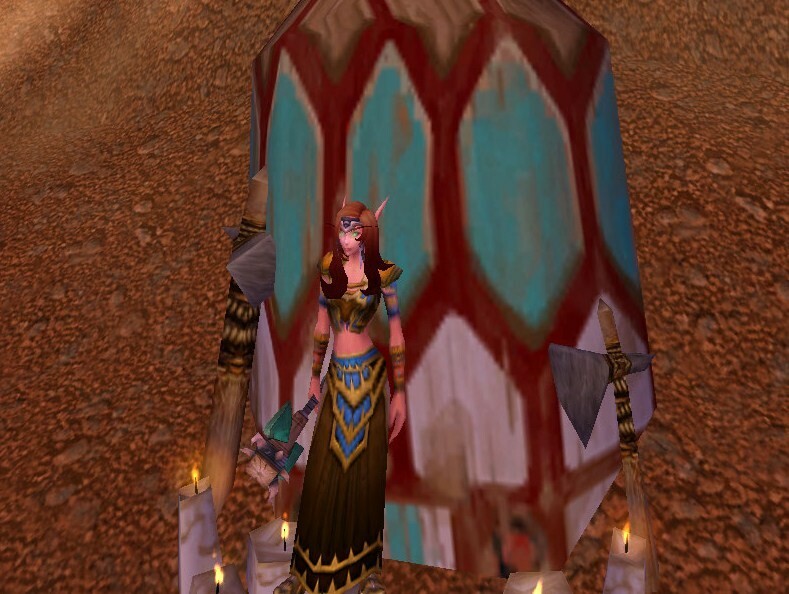 First off, there are some robes equivalent to the Scarlet Initiate Robes, the Light Silk Robe (Horde quest reward) and the Double-stitched Robes (vendor bought). However, both of these alternatives has sleeves, while the Scarlet Initiate Robes keeps a more primitive “cut”, especially the back of the robe. The Scarlet Initiate Robes is a low drop from the Scarlet Initiates found in the Undead starting zone. Having a weapon to level, and plenty of bag space, helps when farming. It took me about 3 hours to get it, but I feel it was well worth it. Adding the Primitive Mantle is again, optional, as is the belt. There are some other substitutes for the Mystical Pauldrons of Elements, such as its classical WoW equivalent, the Pauldrons of Elements, Pauldrons of The Five Thunders (Aged Pauldrons of The Five Thunders), and the Lightning-Rod Pauldrons – which is probably the easiest of all to get. Another shoulder armor that drops out of an Outland instance is the Mantle of the Sea Wolf – perfect for that resto-shaman look. 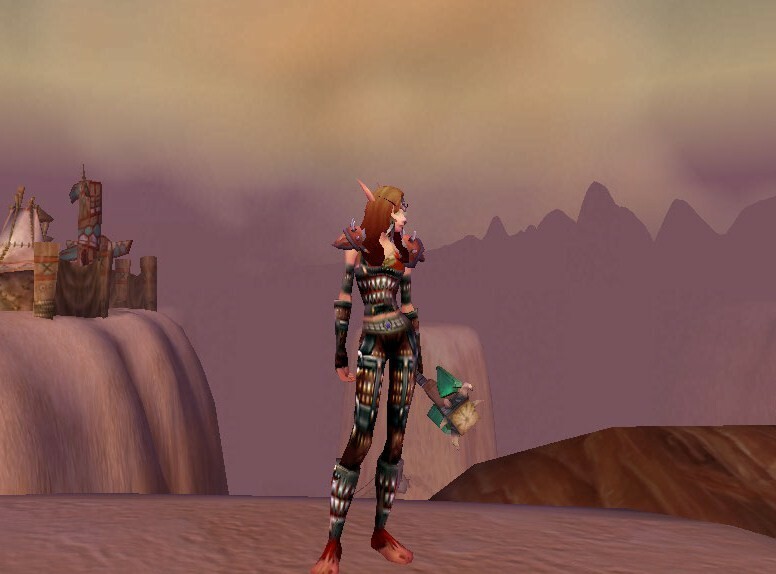 If you have enough honor and marks of honor built up, you could invest in other shoulders such as the Defiler’s Mail Pauldrons (Highlander’s Mail Pauldrons – Alliance equivalent); however, you have to be either a Hunter or a Shaman to wear them. Of course, there are tons of classic mail kilts that are more suited for that shaman look. If you want to farm old instances, the Kilt of Elements is a great choice to start with – it drops out of Stratholme. Other notable mail kilts are the Molten Earth Kilt, Oceansong Kilt, and the Frozen Forest Kilt – all of which could look like actual shaman tier gear. I hope this article was somewhat successful in portraying shaman RP outfits ^_^ and aren’t too much on the verge of being druid RP outfits. Once Merlaina is a higher level to enter some of the Outland instances the tier look-alike gear drops from, I’ll probably update this article. If you have any you would like to share, feel free to visit our forum, and post your screen-shots!